Aaron Kimmel is a native of Hollidaysburg, Pennsylvania. 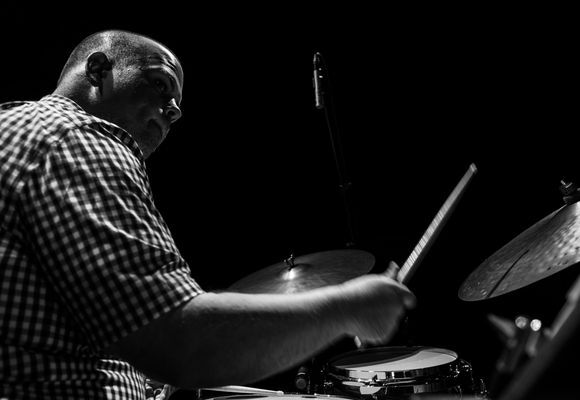 He holds a bachelor of music degree from The Juilliard School, where he studied with Kenny Washington and Billy Drummond, and he is now a freelance drummer living in New York City. He frequently appears at Smalls and Dizzy's Club Coca-Cola, performing as a sideman with Ken Peplowski, the Benny Green trio, among others. He has also played with such jazz luminaries as Harry Allen, Eric Alexander, Joe Magnarelli, Grant Stewart, Terell Stafford, Ryan Kisor, Toshiko Akiyoshi, Brian Lynch, Ann Hampton Callaway, Mary Stallings and Jon Faddis.